How to Install Google Chrome in Ubuntu 15.10 for 32bit and 64bit – If you have just downloaded and installed Ubuntu 15.10 on your PC. The next thing that comes to your mind is what next? And in solving this problem for you, we have created a series of posts to guide you on what to do next in order to feel familiar and comfortable with the best open source operating system, Ubuntu. In this post we’ll be teaching you how you can install the popular Google Chrome browser on your Ubuntu system. Many windows users can’t do without chrome because of its rich in functionalities, it has thousands of extensions (Free and paid) that you can install into the browser to perform certain tasks and enhance your browser experience. It synchronizes your Google account with all of your other devices along with your bookmarks, plugins and your browsing history. Installing Google Chrome browser in Ubuntu 15.10 is very easy, and this is because you can do this in two different ways and get one result. The advance users can install through command (Ubuntu Terminal) while the non advanced users can still install by downloading the .deb package from Google Chrome official web page and install through the Ubuntu Software center without hassle. And you have successfully Installed Google Chrome Browser on your Ubuntu 15.10 Operating System. If you are just starting out with Ubuntu or you don’t like using the Ubuntu command terminal then this is for you and it is as straightforward as the first method. Step 3: Now look at the first two options that has (For Debian/Ubuntu) and select the appropriate version for your PC. Option one is for those with a 32 bit system while option two is for 64 bit system. After selecting the correct version, click on the Accept and Install button to start the download of the Google Chrome browser .deb file. Double click on the file to install with Ubuntu Software Center. You have successfully installed Google Chrome Browser on your PC. 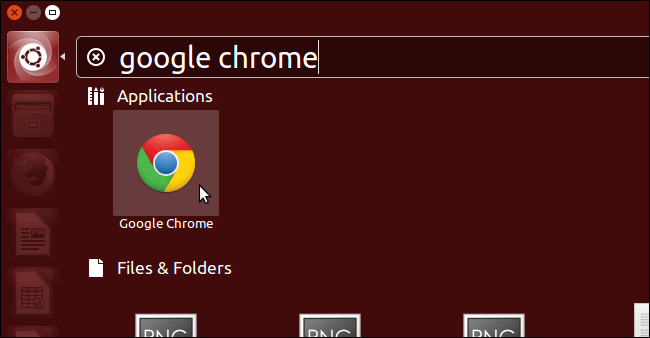 To launch Google Chrome for the first time, simply click on the Ubuntu Dash button at the left upper side of your screen and search for ‘Google Chrome’. Before you launch, if chrome is not listed in your Unity quick app launcher, simply drag the result from the Unity Dash to the, after dropping in your desired point, right click and Pin to Launcher. You would be asked to make Google Chrome your default broswer at launch, the decision is yours alone to take.